Even before Zynga paid $100 million for its card and board games division, Peak Games was investing as much money as it could into marketing its top 10 mobile match-three game Toon Blast in the US. Of course, that deal, which closed in late 2017, meant the Turkish developer could considerably accelerate its plans. But increasing spending without changing the underlying creative isn’t a strategy that scales well in the long-term. That’s why early 2018 saw Peak thinking seriously about the best way to invest Zynga’s cash. “We spent three months on the process in terms of the scripts and analysing which celebrity would be best for them,” explains Peak’s head of strategy Omer Inonu of the company’s decision to jump into the world of celebrity endorsement. The result was a bunch of scripts and a list of celebrities Peak thought would appeal to the wide demographic range it wanted to target. For example, Toon Blast’s gender split is 55 per cent female, 45 per cent male. As is traditional in these cases, Inonu says Deadpool star Ryan Reynolds was “top of the list”. But watching the first batch of ads in which he’s front and centre, it’s hard to think of anyone else with the same “comic chops” as Inonu describes it to pull them off. “Once we knew Ryan was onboard, we made some changes to our scripts and wrote some new ones just for him,” says Inonu. 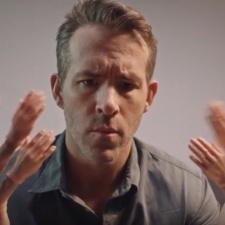 That attention of detail, including subtle channelling of the Deadpool character, is clear to see in the final ads, which range from the surreal and ridiculous to the comically profane. We’ll run hundreds of different tests over the next six months. The two-day shoot was crammed into Reynolds’ schedule post the Deadpool 2 premiere in mid-May, with nine finalised scripts resulting in 30 different ads. Peak’s mission now is to start running these through different video advertising platforms sucn as Facebook and Instagram, analysing which work best for different audiences and over time fine-tuning the campaign. “We’ve only tested four videos so far but we’ll run hundreds of different tests over the next six months,” says Inonu. It’s very early days but he says initial results in terms of driving Toon Blast installs are “really good”, as is subsequent retention, although this can’t be properly measured until Peak has 30 days of data. Significantly, though, Inonu says Peak won’t be supporting the campaign with any in-game changes. “We can link gameplay to marketing but generally we consider them two different subjects,” he explains. Similarly, at this stage, worrying about the monetisation of users delivered isn’t an issue. “We already know Toon Blast’s monetisation is strong so the only things we care about at this stage are installs and retention,” he states.